Aleksandra's Note: ANZAC Day, marked every year in Australia and New Zealand on April 25th, is a special day indeed. Below you will find descriptions and explanations of the meaning and significance of this commemoration that honors war veterans. Each year Serbs are included, and they participate proudly, honoring their war veterans and their heritage of military service. My thanks to Mr. Dragoljub Brkljac in Australia, who last year first enlightened me about this special event. "ANZAC was the name given to the Australian and New Zealand Army Corps soldiers who landed on the Gallipoli Peninsula in Turkey early on the morning of 25 April 1915 during the First World War (1914-1918). "As a result, one day in the year has involved the whole of Australia in solemn ceremonies of remembrance, gratitude and national pride for all our men and women who have fought and died in all wars. That day is ANZAC Day -- 25 April. "Every nation must, sooner or later, come for the first time to a supreme test of quality; and the result of that test will hearten or dishearten those who come afterwards. For the fledgling nation of Australia that first supreme test was at Gallipoli..."
"The Spirit of ANZAC was suggested by official war historian C.E.W. Bean to have 'stood, and still stands, for reckless valour in a good cause, for enterprise, resourcefulness, fidelity, comradeship and endurance that will never own defeat.' The Spirit was epitomised in the deeds of Simpson with his donkey at Gallipoli - comradeship, courage and sacrifice: others before self. It also encompasses the laughter, the pride and the love of life that is in every Australian. To really understand this Spirit one must delve back into our country's past. "Australia is a huge land. In the early days, settlements were scarce and far apart yet pioneers built our society's foundations in these fragmented tiny communities. 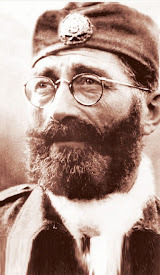 The sun and the open land, the independence and the freedom of living under these conditions was a flame in the blood of our pioneers, a flame that burns whenever men are free, wherever there is a spirit which is willing to help those in need. If there were rumours of trouble, immediately someone would saddle a horse and ride off to see if they could help. Though on a comparatively smaller scale, our New Zealand neighbours in this antipodean part of the British Empire also emerged with a very similar culture. 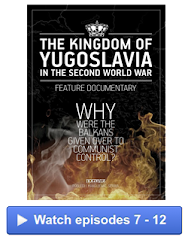 "Conflicts were not unknown to this part of the world. The Eureka Stockade troubles of 1854 in Victoria, the shearers' strike of 1890 in Queensland and the subsequent eastern seaboard maritime strikes were but a few home grown examples. New Zealand's Maori wars in the early 1860s saw volunteers from the separate colonies of Australia assisting their Kiwi mates to establish independence in another developing country. Again in 1885 the colonies displayed passionate outrage and a willingness to avenge the brutal death of Britain's General Gordon at Khartoum, despite only a New South Wales contingent being accepted for service. And when the Boer War erupted in South Africa, volunteer units from the colonies competed for a place beside the Mother Country's warriors. 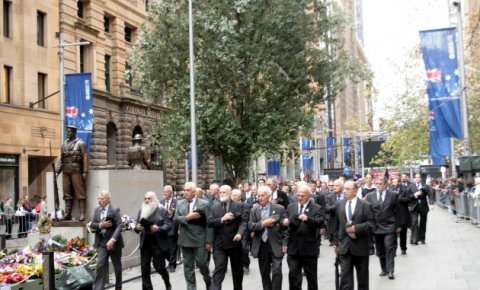 "Thus, although the disparate colonies of our great land did not federate till 1901, Australians and New Zealanders had been united since the beginnings of their countries and this unity, this love of life had formed the basis of the Spirit of ANZAC. 'The Mother Country's in a spot of bother again,' was a typical observation when the Great War began in 1914. 'Might as well help her get this sorted out,' was the accustomed response to someone in need. For a century the antipodean survivors had been helping overcome Nature's curses and supporting each other's causes. 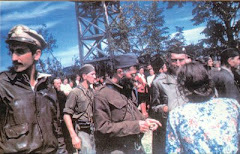 Now they were equally ready again to assist Britain, this time to overcome German militarism. This was the Spirit which imbued the volunteers as they dashed off with seemingly gay abandon to the First World War and what was to become the Australian and New Zealand Army Corps. "These bold, laughing soldiers were a new, unknown factor of a very old Empire. 'They seemed to be of one race, for all of them had something the same bearing, and something the same look of humorous, swift decision' described Poet Laureate John Masefield. But if the British thought they 'took a bit of getting used to', the enemy never got used to them. These 'colonials' fought as they lived - bravely, openly, independently, and without fear. They proved that their young countries could produce men equal to any in the world, perhaps the greatest fighting force this world has known - the ANZACs. "On 25 April 1915 a new world was born. A new side of man's character was revealed. 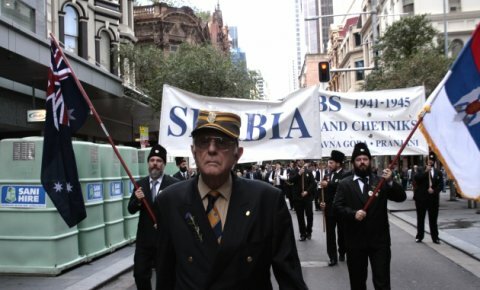 The Spirit of ANZAC was kindled. It flared with a previously unknown, almost superhuman strength. There was a determination, a zest, a drive which swept up from the beaches on Gallipoli Peninsula as the ANZACs thrust forward with their torch of freedom. As they fell, they threw those following the torch so their quest would maintain its momentum. That Torch of Freedom has continually been thrown from falling hands, has kindled in the catchers' souls a zeal and desire for both our individual liberty and our countries' liberty. That desire has been handed down with the memory and burns as brightly as the flame which first kindled it. "But the Spirit of ANZAC is not confined to the battlefield. It lives in the schools, on the sports fields, in fact all over these great countries of Australia and New Zealand. The sun invades our bodies and makes us 'mad'; mad for freedom - freedom of speech, freedom of worship, freedom to live and think as you will. The Spirit of ANZAC is not something we can see but a powerful driving sensation that can only be felt. It is a feeling that burns in the heart of every Australian and New Zealand countryman. 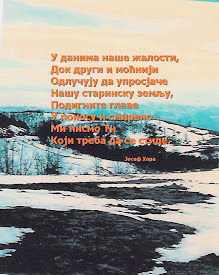 A warm, tender, fiery, even melancholy ideal that nurtures intense patriotism in the innermost soul of every body. Many foundation ANZACs died, but their glorious challenge to catch the thrown torch shouts loud and strong to all. Their goal was freedom for the land they loved. "The Spirit of ANZAC is invincible. It is the flame that burns forevermore in the heart of every true Australian and New Zealander. Today we stand safe and free, clothed with all the privileges and rights of citizens in these great free countries. And all these things - liberty, security, opportunity, the privileges of citizenship - we owe to those men who fought, endured, suffered, and died for us and for their country. 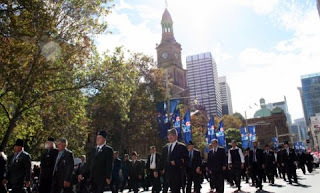 Their deeds and their sacrifices gave us the invincible, the intangible, the Spirit of ANZAC." Retired Colonel Arthur Burke OAM is a member of the Executive Committee of the ANZAC Day Commemoration Committee of Queensland. 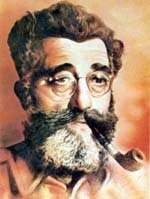 He was inspired to write this article after reading a collection of essays written in 1961 by the students of St Margaret’s Anglican Girls’ School, Ascot, Brisbane following their attendance at the school's annual ANZAC Day service which included an an address on 'ANZAC and its significance, emphasising the "spirit" of ANZAC.' The article is an amalgam of ideas from several essays and the author's own thoughts. 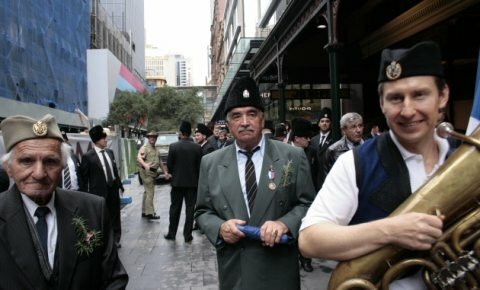 Australijanci su obeležili 95. po redu praznik nacionalnog ponosa - Anzak dan - prvi put bez generacije iz Prvog svetskog rata od koje je ovaj dan i potekao. 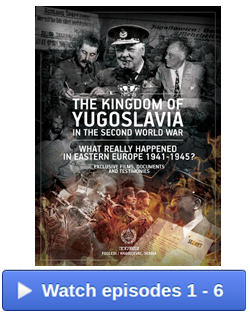 Poslednja stranica poglavlja o slavnoj australijskoj generaciji iz Velikog rata zatvorena je prošlog juna, smrću 110-godišnjeg Džeka Rosa iz Viktorije, poslednjeg od 416.000 vojnika iz tog vremena. Odsustvo najstarijih ratnih veterana obeleženo je konjem bez jahača u povorci u Sidneju. 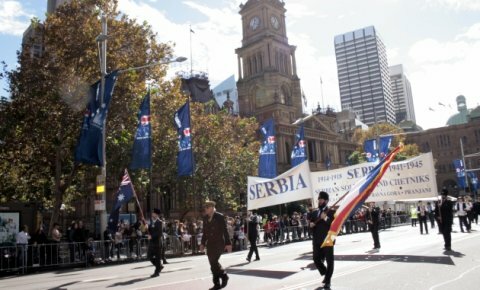 Do sada, oko 1,8 miliona Australijanaca služilo je svojoj zemlji u vojnim kampanjama, a 102.000 njih stradalo je u sukobima. U nedelju, prvi ministar Kevin Rad objavio je da se Australija već priprema za 2015. godinu, kada će biti obeležena 100. godišnjica iskrcavanja na Galipolju. 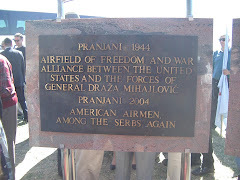 Tradicionalno odavanje vojne počasti u zoru u Sidneju proteklo je u znaku obilne kiše. 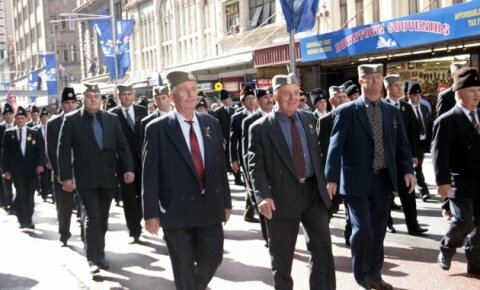 Padavine su popustile tokom prepodneva, taman na vreme za paradu oko 18.000 australijskih veterana i njihovih saveznika. Na čelu posebno dobro organizovane srpske kolone, marširao je predsednika Odbora za Anzak NSW dr Marko Marinković. 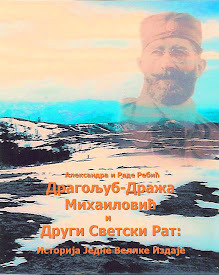 Dragoljuba Brkljača, čuju o Srbima i njihovom učešću u ratu. 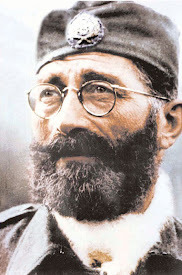 Među učesnicima bila su i dvojica veterana, Simo Vukmirica i Đuro Kesić koje je rat i pripadništvo u četničkim jedinicama dovelo preko logora u Nemačkoj i Italiji sve do Australije. 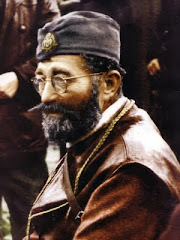 Kesić je počeo da maršira pre tačno 60 godina i propustio je svega tri marša. Odbio je da se vozi u vojnom džipu i zajedno s Vukimiricom prešao s ostalima pešice ceo put. 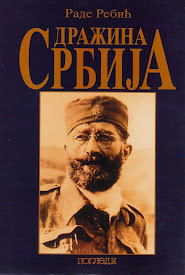 U srpskoj koloni bili su i prof dr Srđa Trifković koji je gost "Odbora za Anzak", kao i generalni konzul Srbije Aleksandar Besarabić i drugi. 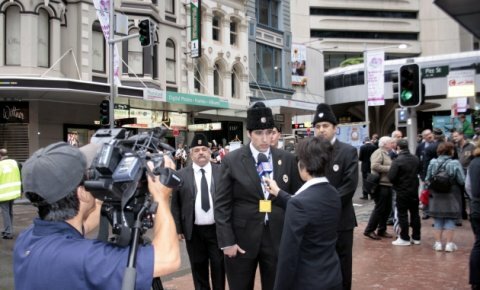 Live: Serbs on Anzac Day 2010 in Australia April 25. Posted on YouTube by "silverbullet1300"